In nature, the nuclear reactions that form stars are often accompanied by astronomically high amounts of energy, sometimes over billions of years. This presents a challenge for nuclear astrophysicists trying to study these reactions in a controlled, low-energy laboratory setting. The chances of re-creating such a spark without bombarding targets with high-intensity beams are unfathomably low. However, after recent renovations to its accelerator, one laboratory reported record-breaking performance. 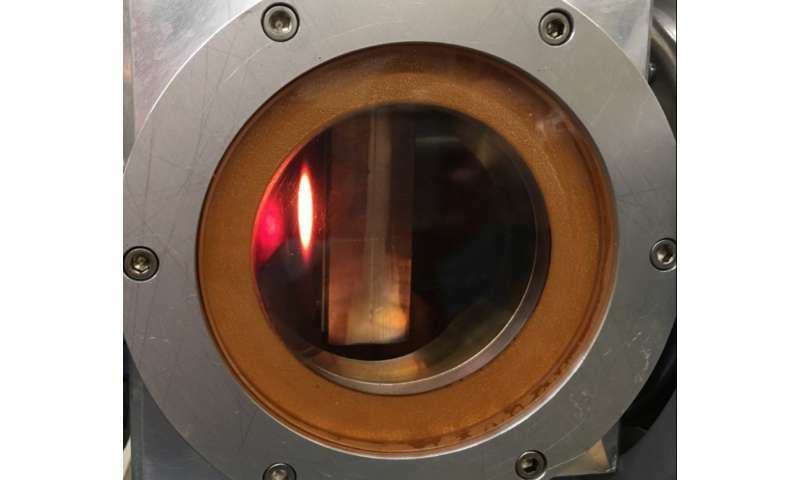 Following six years of upgrades to the Electron Cyclotron Resonance Ion Source (ECRIS) at the Laboratory for Experimental Nuclear Astrophysics, a member of the Triangle Universities Nuclear Laboratory, researchers from the University of North Carolina report improved results. In Review of Scientific Instruments, the group focused on the system's acceleration column and microwave system, making it safer and yielding better high-voltage source stability and signal-to-background ratio. "What a lot of people don't realize is that there isn't really anything that exists on the market for this that we can just buy," said Andrew Cooper, an author on the paper and one of the lead designers behind the project. "Rather than pay millions of dollars [for upgrades], we approached it as a challenge." As the previous ECRIS was pushed to its limits, overheating caused the glue between joints in the system to melt, instigating a vacuum problem. Protons would then ionize residual gas and release electrons that emit harmful bremsstrahlung radiation during experiments. The researchers started designing the upgrades in 2012 with help from other groups including Duke University and Neutron Therapeutics. The authors first obtained data from the improved system in 2015 and have since made additional upgrades. The upgrades included incorporating a compression design and O-ring seals to ensure an adequate vacuum. Parallel resistance channels of chilled, deionized water cool the system and allow it to produce a voltage gradient. Meanwhile, alternating transverse magnetic field sections internally placed along the length of the column catch errant electrons and eliminate bremsstrahlung radiation. A higher-power pulsed microwave system and an axially adjustable beam extraction system enable beam pulsing synchronized with collection devices. 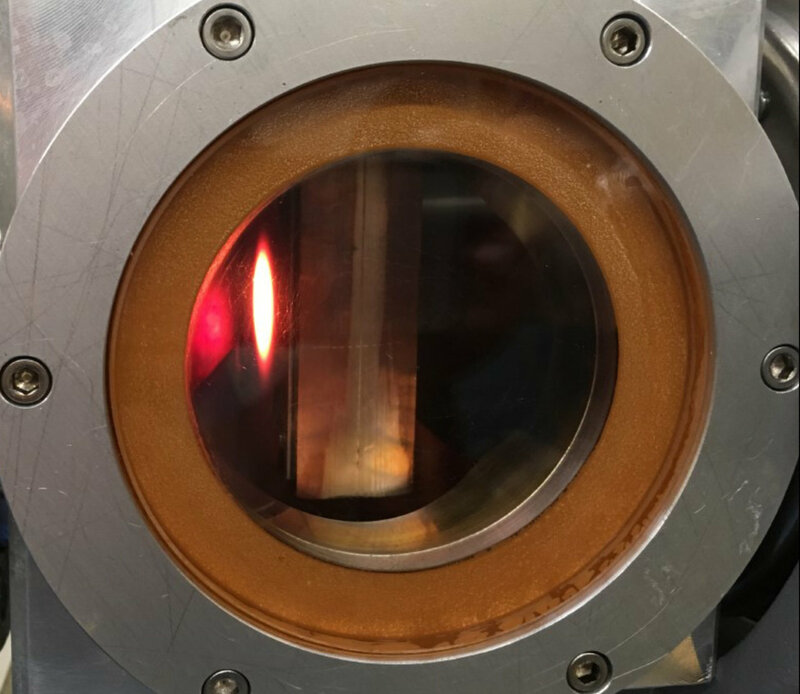 This has allowed the group to increase the proton beam intensity to a record-setting 3.5 milliamps without damaging targets. Moreover, this new system has decreased the amount of environmental background interference from sources like space radiation. "Our accelerator is pretty unique in many ways," Cooper said. "We've shown a clever way to remove background without building a system underground." Next up, Cooper and his colleagues seek to further explore features of the system, including how tuning parameters affect beam emittance and intensity, with the goal of achieving a target beam intensity of 10 milliamps.